I bet you didn't know there's a major controversy sweeping through the world of curling. Yes, that quirky sport that pops up on TV during the Winter Olympics actually spawned a worldwide scandal—not over drugs, not over bribes, but over brooms. It's about new fabrics on the brooms that curlers use to sweep the ice in front of the stone, and it's bad enough that ice experts and top athletes are calling it "broomgate." They gathered in Kemptville, Canada this week to investigate the contentious brooms that were changing the way this 500-year-old game was played. Jamie Bourassa stood among them, an Olympic-level ice technician there to help resolve the controversy. He and the rest of the Sweeping Summit tested the disputed brooms to see which ones had too strong an influence on the stones. The World Curling Federation will use the data to vote in September on new rules for brooms. 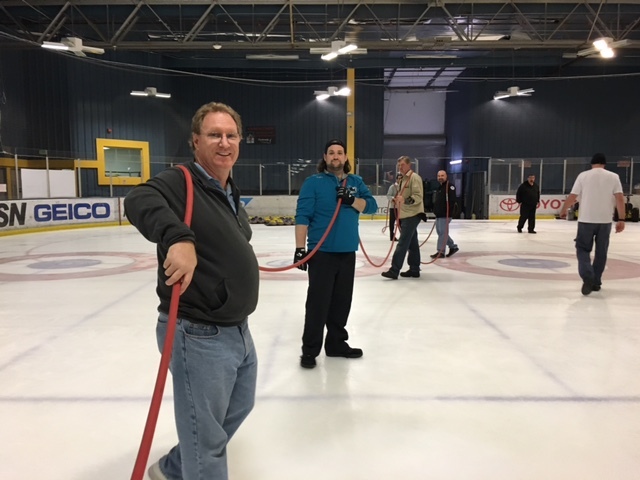 After the summit, Bourassa flew straight to the Sharks Ice Facility in Fremont to prep for the Bay Area’s annual curling tournament, held the weekend before Memorial Day. 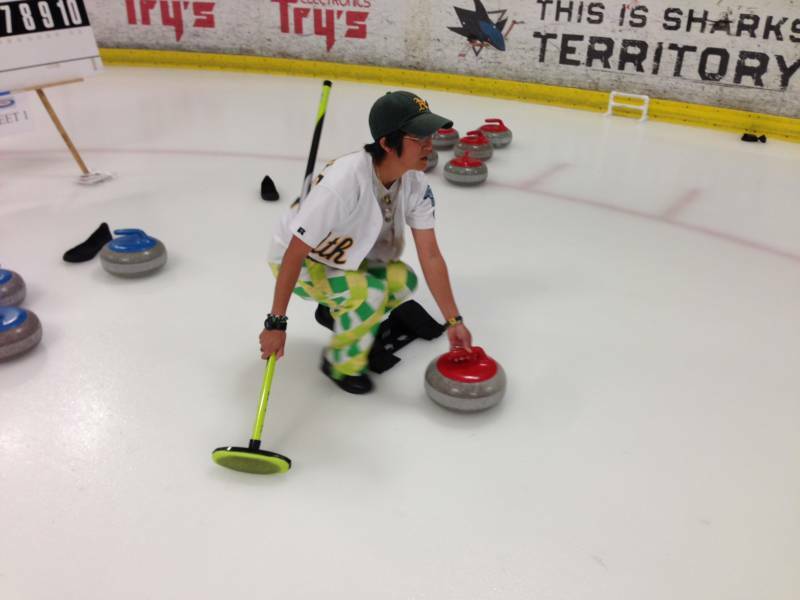 At the 2016 Golden Gate Bonspiel, curling teams from the Bay Area and beyond will sweep and glide their way to glory. The San Francisco Bay Area Curling Club (SFBACC) is hosting the event, which puts curlers of all skill levels onto the ice. Teams with names such as Game of Stones, and Star Wars: The Frost Awakens will play through Sunday until four champions emerge, to be awarded a bottle of wine and medals. 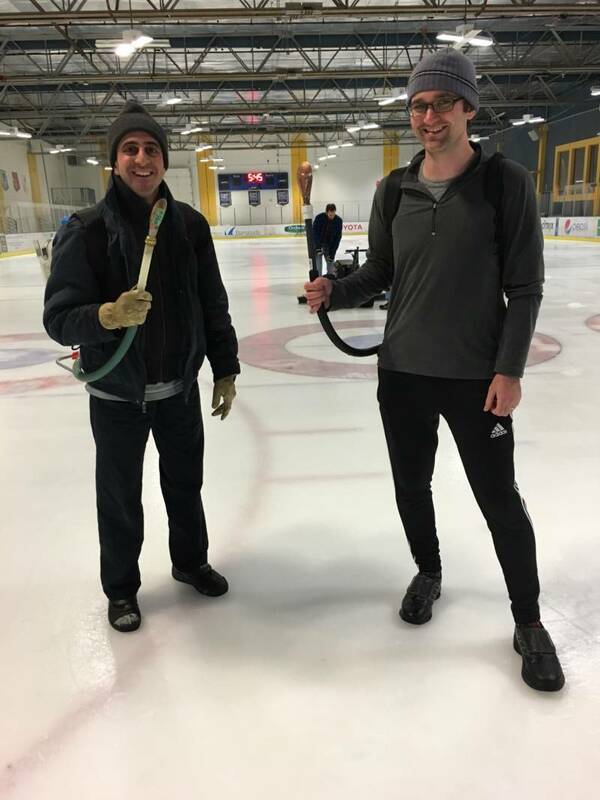 Bourassa arrived last night to train local curlers in the science and art of maintaining their ice. Curling is all about reading the ice. One person glides the 42-pound curling stone toward a bulls-eye at the end of the court. The rock veers in one way or the other—that’s the curl. The frantic brushing melts the surface of the ice to coax the stone a little farther or prevent it from curling too far astray. The strategy of curling begins long before anyone throws the first stone. “The better we make the playing surface, the better the players can play,” Bourassa says. He prepped the ice for the Winter Olympics in Sochi, and does the same for curling championships all over the world. The first step is to level the ice. Ice technicians use lasers to map the hills and dips carved out by hockey skates. A Zamboni shaves away the highs and technicians flood low points with water as pure as they can get. “If you use the tap water in an ice tray, you’ll feel rough patches on the ice cubes," Bourassa says. "You don’t with pure water." Next comes the pebbler. Armed with a water-filled backpack and hose, a technician walks backward, spraying the hose back and forth until the ice sheet is covered in tiny bumps. The brooms melt the tops of the pebbles, creating a rounded, slick pathway to gently nudge the rock in one way or the other. By the end of a curling round a dozen stones may crowd the bulls-eye and only the rock closest to the center takes the point. The team’s last thrower, called the skip, must set up her shot to knock out the opponent’s stones or pull off a tricky curl. “They call it chess on the ice,” says Loreen Makishima-Wolf, 51, who will compete on the team The Dancing Minas. Makishima-Wolf prefers to throw early when the ice is clear, but still feels the pressure if her throws go sour. The throws called shots get the stone closest to the middle point and are the heart of the game, showcasing the skill of the thrower. The brushes that launched the broomgate controversy compromised that, Bourassa says. The World Curling Federation noticed during competitions last fall that some of the brooms seemed to change the rock's original trajectory, and they banned them. “It got to the point where the sweeping was making a greater difference in shot-making than the actual shot-making," Bourassa says. In the end, curlers are looking for a great shot. The sport has strong rules of etiquette to keep it friendly. Curious about curling? You can check out the 2016 Golden Gate Bonspiel at the Sharks Ice Facility in Fremont or watch the live stream here!